In order to promote the development of pilot cities along the Belt and Road, Central and Eastern European Youth Entrepreneurship Center will be built in Ningbo with Zhejiang GreatTao E-commerce Corporation as the Operator of this Centre. 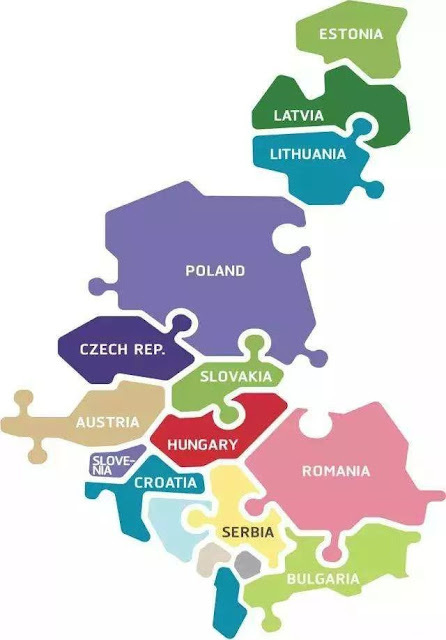 The Central & Eastern European innovative entrepreneurs will enjoy not only policy supports like rent-free offices and tax exemption for three years, but also start-up capital and operating subsidies for excellent projects. 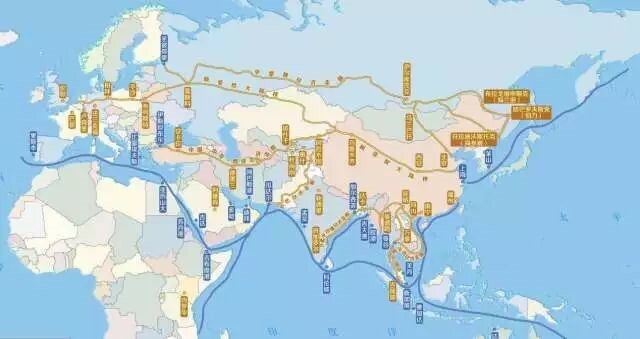 As the critical areas, the Central and Eastern European countries occupy a quarter of the 65 countries along the Belt and Road. Since the Belt and Road is initiated, China and the Central & Eastern European countries (including Poland, Czech Republic, Slovakia, Hungary, Slovenia, Croatia, Romania, Bulgaria, Serbia, Republic of Montenegro, Macedonia, Bosnia-Herzegovina, Albania, Estonia, Republic of Lithuania and Latvia, 16 membership countries in total)have carried out exchanges and cooperation and gradually become the benchmark of the Belt and Road. In 2018, Ningbo will focus on building Central and Eastern European Youth Entrepreneurship Center (hereinafter referred to as Youth Entrepreneurship Centre). The Youth Entrepreneurship Centre will be operated by Zhejiang GreaTao E-commerce Corporation with market orientation& government support as the operating mode to mainly attract the Centre & Eastern European entrepreneurs and innovators to settle in Ningbo. This project will require the Operator to offer the settled entrepreneurs all-around services, including company registration, taxation, polices, accounting & legal services, intellectual property, cultural integration, translation and consultancy, etc. The Operator should also possess certain value-added services such as financing, market expansion, human resources and project promotion for these entrepreneurs. What makes Great Tao E-commerce a qualified Operator of the Entrepreneurship Youth Centre? Early in 2016, Great Tao E-commerce has put forward the Gate to China Project, which offers the overseas buyers four categories of services, including Integrated Services, Global Trade Credit Assurance Program (GTCA), Financial Services and Foreign Trade Value-added services. 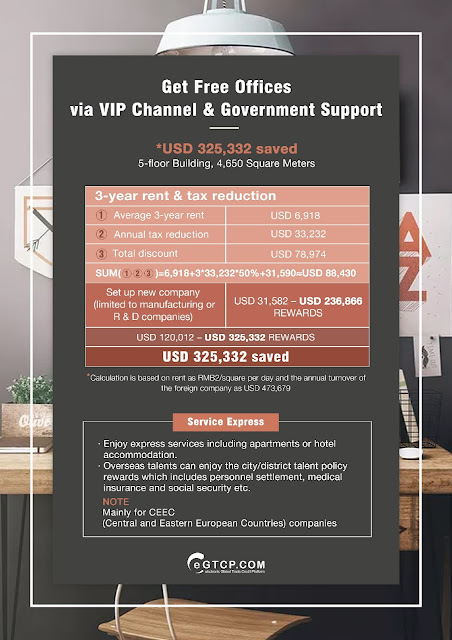 The Integrated Services offer the overseas buyers a variety of services, including Rent-free Offices, Tax Exemption, Company Registration, Accounting & Legal service, Visa, Translation, Exhibition Service and Professional Training, etc. These diversified services will not only lower the settle-in costs and improve trade efficiency for the overseas buyers, but also encourage them to come to China and set up companies. This in return also brings more foreign trade business opportunities for the Chinese suppliers. The Exhibition Service is one of the feature services among the eGTCP Integrated Services. 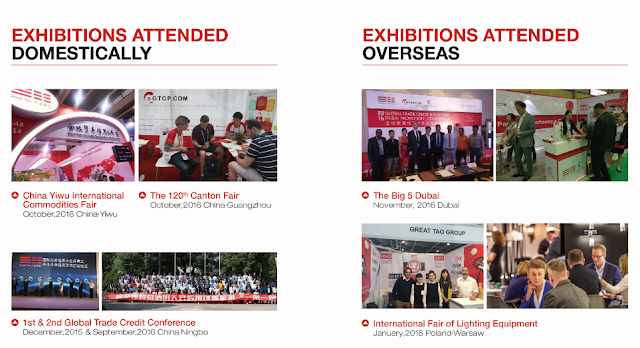 Great Tao E-commerce not only provides various exhibitions for suppliers and buyers at home and abroad, but also holds the Global Trade & Credit Conference in September every year. These exhibitions & conferences promote the products of Chinese quality suppliers to the overseas buyers, so that order-matching can be achieved and Chinese suppliers can promote themselves globally. 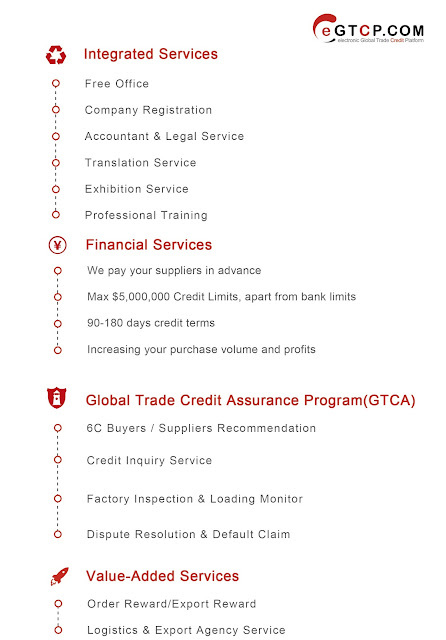 The Online Credit Inquiry helps the overseas buyers know the Chinese suppliers’ authentic and overall credit and trading status easier and quicker, so that trading risks can be avoided. 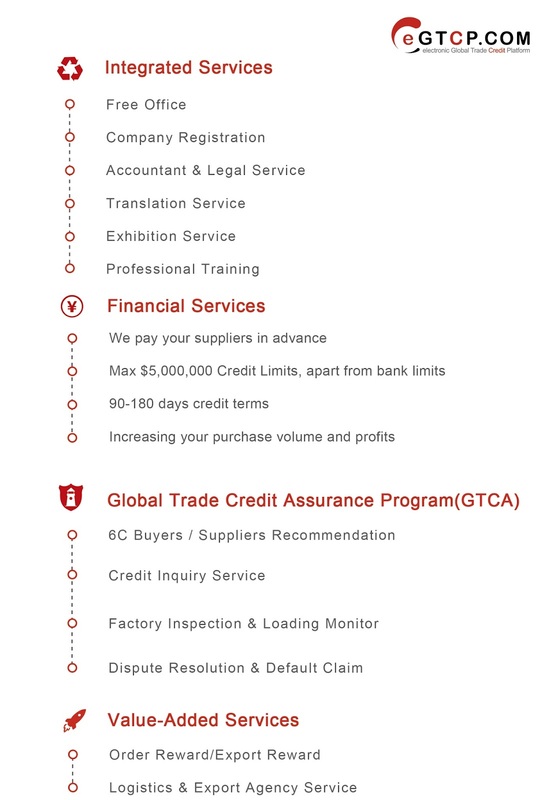 eGTCP will soon release a new feature in the Credit Inquiry results page-- 6C Supplier Recommendation. 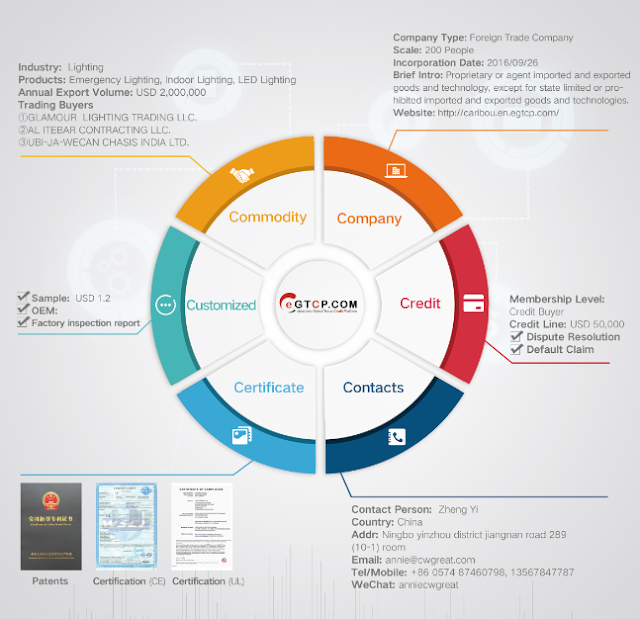 To be specific, eGTCP will analyse the suppliers’ business status in six categories -- Commodity, Company, Contact, Credit, Customized and Certificate to help overseas buyers acquire the newest and most comprehensive company & product info, thus effectively reducing trading risks for the suppliers and buyers. eGTCP offers the Global Trade Credit Purchasing Cards to the overseas buyers for them to buy now and pay later. The Chinese suppliers can also apply for such service for their own buyers, so that the buyer can increase purchasing amount and they can receive payments in advance to withdraw capital from circulation and reduce trade risks. As the Operator of the Youth Entrepreneurship Centre, Great Tao E-commerce will also offer more value-added services to the overseas buyers and Chinese suppliers. The Order Sourcing & Matching Service is also very convenient for the overseas buyers and Chinese suppliers match up inquiries and conclude orders. Since 2016, eGTCP Gate to China Project has attracted many overseas companies to settle in Ningbo. Its financial service and GTCA are complementary to the policies of the Youth Entrepreneurship Centre. With the strong support of government, the Youth Entrepreneurship Centre will further strengthen the services of eGTCP Gate to China Project, and provide the overseas companies with more quality and convenient services. The Central & Eastern European companies’ settlement in China was not only supported by the Belt and Road Initiative policy, but also backed by the Ningbo Key Projects. 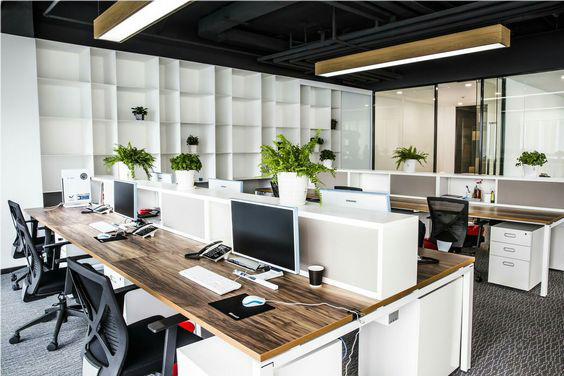 Ningbo government will offer these companies a newly decorated office building at the Bund Park-and-Ride Bus Station, Zhongma Street, Jiangbei District, Ningbo City. Besides, a Public Service Center for CEEC will also be set up for this project by the government. The Youth Entrepreneurship Centre is now open for investment. If you are qualified, don’t miss out on this good business opportunity! 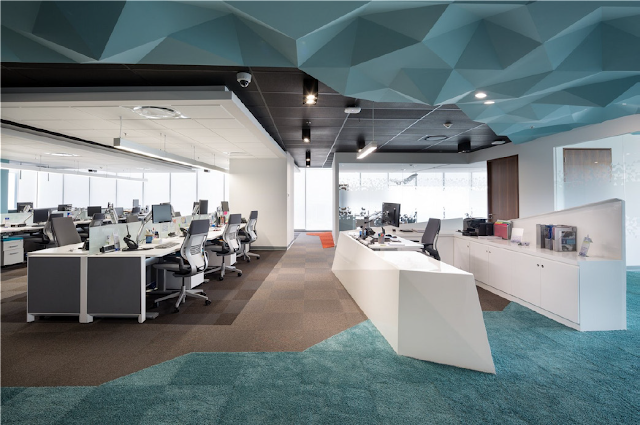 The Youth Entreprenuership Centre is mainly for Central & Eastern European companies, and also includes companies from other countries and some overseas Chinese. 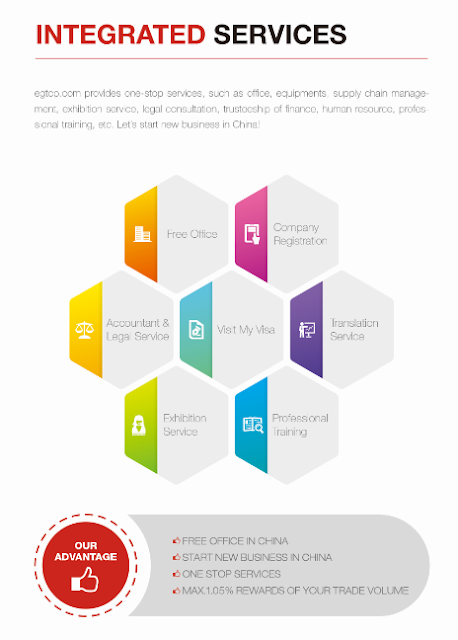 Its industry mainly focuses on modern services, including information technology, cultural media, e-commerce, consultancy, R&D design, financial service, foreign exchange, tourism, global trade and business service, etc.